Japan has failed to atone sufficiently for its actions in World War II, former Foreign Minister Yohei Kono, who wrote Japan’s official apology for the use of wartime “comfort women, said recently. The remarks by Kono, a former senior member of the ruling Liberal Democratic Party, echo calls by China and South Korea for a clearer expression of responsibility for the deaths of millions in Asia in the 1930s and 1940s. Prime Minister Shinzo Abe, who has criticized the “propaganda” that he says taints his nation’s image, has seen his efforts to hold summits with China and South Korea rebuffed by their leaders. Kono, who left the Diet in 2009 after serving in powerful posts that included deputy prime minister, chief Cabinet secretary and president of the LDP, criticized moves by Abe to ease limits on Japan’s military and defense industry. He said in the July 22 interview that a referendum should have been held on Abe’s decision to alter the interpretation of the pacifist Constitution. 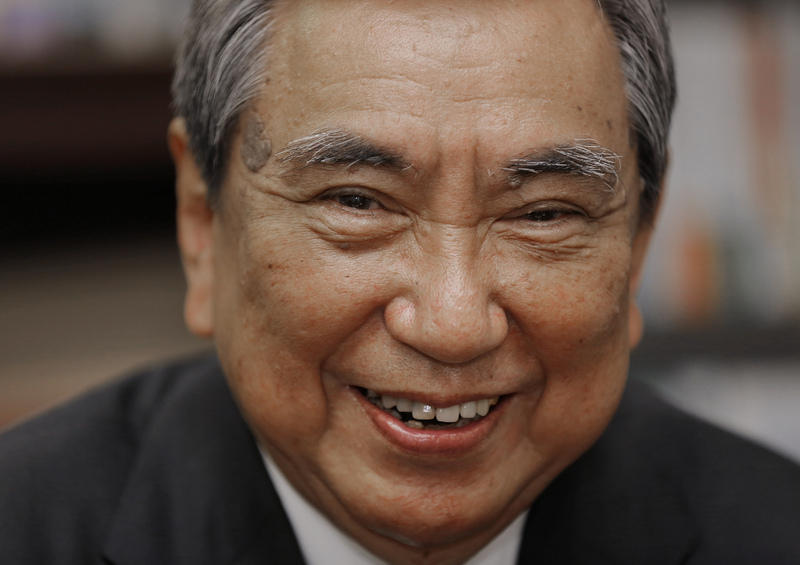 Kono is renowned for the 1993 statement he made as the government’s top spokesman apologizing for the Imperial Japanese military’s abuse of those known as comfort women, before and during the war. 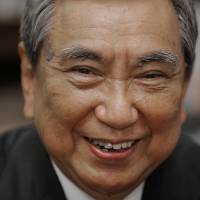 Then-Prime Minister Tomiichi Murayama made what is regarded as the clearest apology over the issue to date, in 1995, on the 50th anniversary of the war’s end. The Abe administration has stoked neighbors’ concerns by investigating the grounds for Kono’s apology, which was based on evidence including the testimony of women forced to work in Japan’s military brothels. Abe, 59, also spurred criticism in China and South Korea with a December visit to Yasukuni Shrine in Tokyo, which honors Japan’s war dead along with Class-A war criminals. After intense pressure, Abe said there is no need to revise either the Kono or Murayama statements. Recently, Japanese officials assured their Korean counterparts that the Abe government stands by Kono’s 1993 statement, Kyodo News reported. Chinese President Xi Jinping criticized Japan’s wartime aggression in a speech earlier this month, saying China and the world will not accept efforts by a “minority” to distort history and facts. Public opposition to reinterpreting the Constitution to allow the military to defend allies under attack is high. A Jiji survey earlier this month showed support for the Cabinet dropping to the lowest since Abe took power in December 2012. Kono criticized Abe’s approach, saying he should have taken more time to debate the issue and held a referendum. Kingston said Abe is seen by the public to be contravening constitutional procedures and trampling democratic norms. The Cabinet eased restrictions on arms exports in April as part of Abe’s push to bolster Japan’s military, a move that led to the recent approval of the transfer of missile technology to the U.K. for joint research purposes. Kono said this decision was wrong and has moral implications for the nation’s business leaders.